Dan, thanks for taking the time during what I’m guessing is a busy period with final preparations to host the 9th annual Cali Roots. Can you believe it’s only a month away? (Laughing) You don’t want me to shortchange you any days you have left [to prepare]? Yeah. We’re a month away from being on-site. It’s a little scary. As a longtime lover of reggae music, from the jump I want to thank you for your work over many years — I understand it’s about two decades now, maybe more — that you’ve been promoting reggae music in the United States? Yeah. I grew up in Hawaii, so I grew up with reggae on the radio. Hawaii is one of the only places in the U.S. where commercial radio plays reggae all day. So I grew up on Aswad, Gregory Isaacs, Burning Spear, The Gladiators. And obviously, Bob. And Israel Vibration. 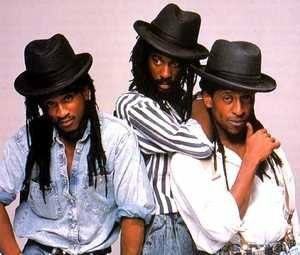 My first show was Aswad when I was seven or eight years old. And I’ve been promoting reggae since [the] first show [I produced] in 1996. Is it true you began promoting music after an experience pitching one of your favorite bands to [the] Reggae on the River [music festival]? You’ve done your homework. Yes, absolutely. I found out about Reggae on the River in a High Times [magazine]. Which is pretty ironic since High Times took over Reggae on the River. Yeah, I found this little article, and I told all [my] boyz, “dude, we gotta go to this!” And I fell in love with it my first time. [So,] the next year, growing up in Hawaii, I had a connection to a band called Natural Vibrations, and I thought, man, they’d be perfect for this! And I was hitting up [the producers of Reggae on the River] pretty often. And that was back [in the day] when there weren’t many emails. Emails were scarce. So, it was a lot of phone calls. And [they] finally said, “Alright, Dan, we’ll get them on.” And they played at noon on Sunday at [that next] Reggae on the River. And that was long before you joined up with your co-partner, the founder of Cali Roots, Jeff Monser, in what I believe was the third year of Cali Roots’ history? Absolutely, yeah, that was well before that. That [Reggae on the River experience promoting Natural Vibrations] kinda kicked me off to do [more] shows. I got the bug. 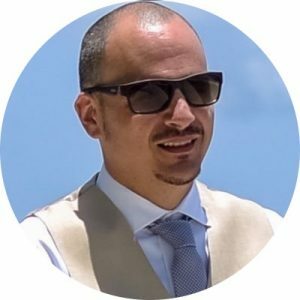 I moved to Guam for a couple of years to be the music director for an all-island reggae [radio] station out there. Wow. What was that station called? 93.9. It was an all-reggae, all-island station. I did promotions for them as well, and so I was able to do a couple of my own shows. And [also,] I got to be a part of some of the bigger shows that the beer companies brought in. Then, I moved back to California to really pursue [promoting] shows. And I did shows from Seattle to San Diego. Really [also] cut our teeth doing shows back in Hawaii. Bringing bands over. Which taught us a lot [about] logistics and operational techniques, to, you know, keep doing what we’re doing, and be able to produce large scale [music] festivals. It was a lot of work to do those shows. Interesting. And it helps to explain how Cali Roots has been successful. 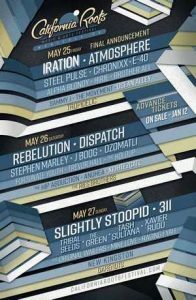 Clearly, it’s come a long way from being essentially a backyard party in year one to [now being considered] a world-renowned reggae festival. You must be very proud of what Cali Roots has accomplished over the last nine years, and how it’s grown? I’m going to ask you a few detailed questions about this distinction between roots reggae and some of the other music Cali Roots promotes. But, before we get to that, since you mentioned how iconic a festival Cali Roots has become, I wanted to note how impressive it was that Jamaica’s oldest, largest, and most respected daily newspaper, The Gleaner, published an article announcing the names of the first round of artists booked for this year’s festival; the article was titled “Chronixx, Steel Pulse, Raging Fyah to thrill California Reggae Festival.” And to me, what I found to be so impressive about that, other than just the fact that it shows what a giant influential music festival Cali Roots has become — is that this article was published in October of 2017 – more than 6 months prior to the festival! That must have been exciting for you to get that kind of buzz in the Jamaican mainstream press, especially so early, concerning this ninth annual Cali Roots? Absolutely. Any time we can get something published in The Gleaner [about Cali Roots], I’m pretty stoked. I think it’s important that people in Jamaica know what we’re doing. I’m a huge fan of the new [music] that’s coming out of Jamaica; the Raging Fyah guys are great, [and then] there’s Chronixx who is really good. We had Anthony B [perform] a couple of years ago. So, yeah, to get that recognition from a Jamaican newspaper, and in October, like you said, that’s pretty strong. Definitely. Now, was what I said at the beginning accurate — that this is a busy time for you, a month or so prior to the festival? Or, is the bulk of what you and your team do to prepare and promote the festival already done by now? What work is there still left to do at this point? A lot of the marketing is in place, and we have everything scheduled. [There’s] just a lot of logistical work, like working on our [festival] maps, our sign plan, our credential legend board, and just fine-tuning [everything]. Now I’ll admit it’s a bit gimmicky Dan, but since we decided to do the interview on April 20th and I further requested we actually start recording around 4:20 pm, you probably aren’t going to be surprised that I have a few marijuana questions for you? Stoking or stimulating, if you will, my curiosity about the connection between Cali Roots and responsible, joyous marijuana consumption was yesterday, on your official festival twitter account, there was a nice homage posted about today’s date (4/20); it was just a simple but artistic six-second video clip of a puff of exhaled smoke traveling on a black background from left to right. Did you see that [too]? Critically and a bit more seriously, for the first time in festival history, marijuana is legal for adults in California! Now, in an interview last year with Brad Metzger for Reggaeville.com, you said quote, “we’re looking for other markets to expand into,” but quote, “we are not a cannabis event.” However, you also noted at that time that you were closely following legalization movements in other states. 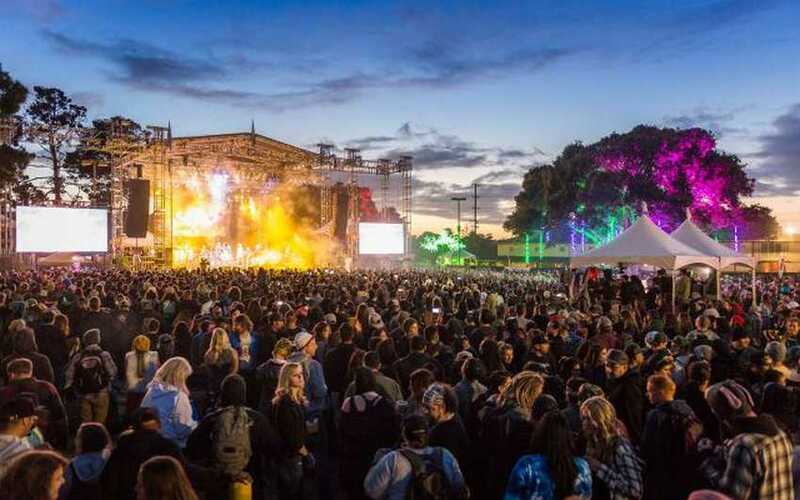 Practically speaking, is there anything festival-goers should know about this year’s Cali Roots that’s going to be different [concerning] the responsible use of marijuana due to this change in law? It’s a valid question. I’m not alone with the rest of the festival producers [in California] who are still trying to figure out our way around it. I don’t think [state legislators in] Sacramento [have] gotten [the new marijuana law] to the point where it’s clear. There’s a million different gray areas with the cannabis law and the adult use act. So I’m not exactly sure how it’s going to affect Cali Roots or any other event that’s not a “cannabis event” this year. Long before marijuana became legal I’ve never attended or heard of a reggae music festival — or any music festival in California — where massive (or sometimes mini) clouds of marijuana smoke weren’t buzzing through the air. How about you? Nah. I’ve never been to one [where that wasn’t the case]. I’ve been to a couple where they’re a little stricter about it. Checking bags more closely maybe? Yeah. Even in the club scene and different [types of] venues, it’s always been hard to control it; to have people not smoke indoors. I think [marijuana] just goes with the culture of live music. Jazz musicians were smoking it long before we were, you know? True. I’d also observe that at just about every single music festival where marijuana is consumed, that overwhelmingly patrons are peaceful and fun-loving. Indeed, if ever there is any problem, usually, alcohol is to blame. Do you have any opinions on that having been around so many music festivals? Yeah, it’s very chill. Cannabis is great for that. The combination of cannabis, and music, and good food, and just really good people, make up the special vibe of [Cali Roots]. One of Cali Roots’ corporate sponsors this year is Toker Poker, a company selling a product with a poker and tamper attached to the lighter; their motto is “Poke it. Pack it. Puff it. Pass it.” Will Toker Poker be selling these handy devices at the festival? They’ll have a booth there; they’ll be selling them. We [also] have an official Cali Roots poker that we sell as well. 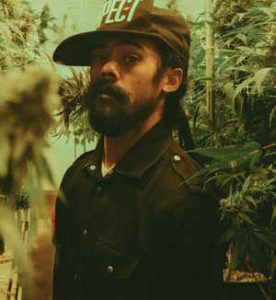 Reggae music artists like Damian Marley and Raging Fyah have been investing in the marijuana business and making it part of their branding. Other artists are following their lead. With legalization in California, could you see a time in the future where when you go to the booths at Cali Roots to buy artist merchandise like t-shirts, that you might also soon have different reggae bands selling their own personalized brand of herb? Absolutely. It’s coming. It’s just a matter of legislation. And, figuring out how the government is going to make money off of it [too]. [And] [u]nfortunately, you know, anytime government gets involved there’s going to be more regulations. Because it’s all about the tax revenue, and how [government] will get its piece of it. I think they’re still trying to figure out how they’ll get their piece of it. It’s just a matter of economics. And time. Moving off of marijuana, but focusing still on things that [are still relatively new in our society, that folks are still grappling with], with Donald Trump as President, do you anticipate artists might use part of their time on stage to make political statements about Trump? And, do you as the festival co-producer have any concerns or thoughts about that, should it happen? 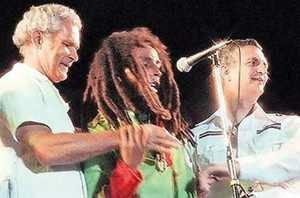 [Edward] Seaga and [Michael] Manley together on stage? Exactly. [Bob] did that. And if you think of old roots reggae, it’s a sufferah’s music, you know? And it should be. I mean there’s “feel good” music for everything. There’s “feel good” old school roots. But I definitely like it when artists step up and make their voices heard about what’s going on in this country. What’s going on in the world. We don’t want to [have] a political rally on our stage but it is a platform for [artists to express themselves]. That’s a refreshing attitude. I don’t think every festival producer would share that view, so, thank you! Now Dan, each and every year the festival has upgraded, tweaked, and added impressive elements and features to make the experience all the more awesome: You’ve added an art and wine gallery, yoga and art instruction, pop-up performances, a quote “fun run” for the athletically inclined. What new features, elements or other improvements has Cali Roots made since last year that you really want folks to take notice of? One of the big things this year is the art that we’re going to have all around the venue. This year, more so than in previous years, we’re really emphasizing the “arts” portion of the festival. There’ll be pop-up locations all throughout the venue [spotlighting the work] of really cool artists [including] glass blowing, wire-weaving, graffiti, and [much, much] more. In addition to the Giant LCD screens attached to each stage ensuring every festival-goer has a good view, I understand you’ll be live-streaming the event on YouTube. True? Yes. This is the fifth year we’ve streamed the event. I’m a huge proponent of streaming. Streaming is the future, and we’re in the future. Does Cali Roots make any profit from it? No. We have a little more sponsorship for it, and ideally, we want to get to a point where it’s profitable. It’s not something we want to lose money off of. At the same time, it has helped us elevate the brand, increases viewership, and gives us greater visibility. We have people watching us in every country. And it is super-quality, you know? Our team does a great job. 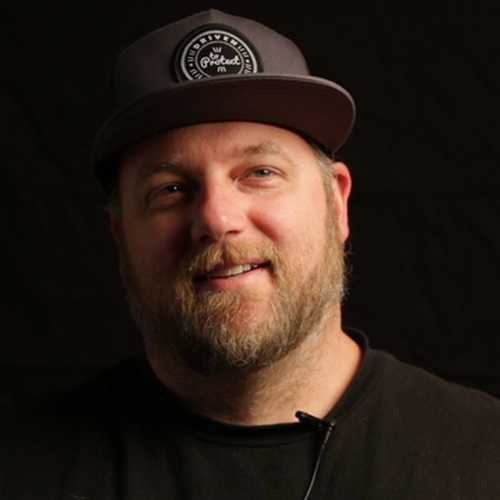 In addition to being the talent-buyer, promoter, and co-producer of Cali Roots, in its fourth year you took charge of running the festival’s day-to-day operations, true? Yeah. I mean, it’s a team effort. Since Cali Roots has grown into such a large and influential festival from when it began in 2010 — one that sees tens of thousands of people coming to Monterey to attend — I’d imagine that running the day-to-day operations has to be pretty stressful? I don’t like to look at it as stress. Sometimes it’s overwhelming. But I have an incredible team around me that keeps the whole thing moving. What are your biggest challenges and concerns during the three days that the festival will be in operation? Safety. That’s the number one priority. Making sure that everyone is safe. It’s a huge responsibility. People always ask why I have such a serious look during the event – it’s a big responsibility. We are responsible for every single person [at the festival]. We’re responsible for their safety, their well-being. This is supposed to be a sanctuary, a place for people to “get away.” So it’s real important that we keep everybody safe. And not just safe [from] all the craziness in the world – but safe [like] if they didn’t get enough water and they’re dehydrated. Or, they have pre-existing medical conditions [and need additional assistance]. And making sure that equipment is properly placed and not going to fall on anyone. Making sure that security checkpoints are really solid, so nothing gets by that shouldn’t get by. Little things like that. The Vegas shootings really affected [everyone] in the music and event industry. For that reason, I wondered whether because Cali Roots is recognized and thought of the world-over nowadays — even in Jamaica — as being, in its essence, a reggae music festival — have you ever thought about changing the festival’s name to include the word ‘reggae’? No. It’s never been a thought. For us, reggae is the heartbeat of the festival, and it will always be the heartbeat of the festival. There’s no doubt about that. But we would be pigeonholing ourselves too much if we put the word ‘reggae’ in [the name of the festival]. Is it also a situation where the name of the festival has been the name for so long now, nine years, that despite any confusion it might generate, why change a good thing? Yeah, I think so at this point in our business. People at first were like, “all those bands aren’t from California.” I mean, there’s always [been] a misconception surrounding the name [of the festival], but I think we’re past that [now]. People who have never heard of us might be confused by it, but at the end of the day it started off as a clothing brand, you know? Somewhat relatedly, when you were interviewed by Billboard in September of 2014 you were asked as the festival’s talent-buyer about how you select the acts to perform each year, and also, how you determine the order of performances for each of the three days the festival runs. And you mentioned how you’ve received complaints in the past from quote “traditional reggae lovers” because, sometimes, you’ve chosen American reggae bands [in lieu of Jamaican bands or bands from the Caribbean] to perform, or to be the headliner on a given day. Do you recall saying this? Now this was back in 2014. 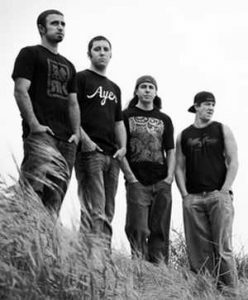 And at that time you accurately noted that American reggae artists like Rebelution and Matisyahu were dominating the charts. Indeed, in April 2013, the Jamaica Observer ran a piece titled “Americans dominate Billboard reggae.” But Dan, just this past December, Radio Jamaica ran a story that five Jamaicans including three 2018 Grammy nominees were in the top 10 of the Billboard Reggae Album Chart. From your position as a talent-buyer and festival promoter in the United States, have you seen the pendulum swinging back in favor of the Jamaican and other artists from the Caribbean as compared to American reggae artists — especially those in California? The charts are one thing. And Grammy [awards], they don’t sell tickets. It’s been proven over and over. [Grammy awards] are great, but at the end of the day we are in the business of putting people in seats and getting people through the gates. I select [talent] a lot more off of ticket sales. Even with, for example, Chronixx. His club numbers are not as strong as a J-Boog, you know? So, I have to look long and hard at Pollstar or other sources where I can get the [ticket sale] numbers for how the [artists’] shows are doing. I definitely do see more Jamaican and Caribbean artists making a move up the ladder again. You’ve said before that you also pay particular attention to bands that are really grinding? Yeah. That’s a big thing. What’s the touring looking like? How are they touring? Where is the touring? Are you seeing an upswing of that among the Jamaican artists? Protoje has gotten out there more. And Raging Fyah is really grinding it. It’s happening more. But you know the problem is there’s a different style of touring. A lot of the American bands we are dealing with, they carry their own back line. They handle their own hotels. Whereas a lot of the Jamaican or Caribbean artists, they’re not necessarily [equipped] like that, you know? It’s not self-contained. A lot of these other bands are self-contained: They roll up in their trailers and they do their thing. In the same Billboard piece I just mentioned, Steve Newland, lead singer of Rootz Underground was quoted saying: “The obstacles facing Jamaican artists, such as securing visas, work permits and travel expenses to the US have prevented some of the Island’s acts from maximizing their potential [in the United States].” Do you agree with that and has this situation improved at all or has it gotten worse from your perspective for Jamaican artists since 2014? That’s definitely one of the biggest challenges. You have difficulties like work visas and travel, and getting all their gear over [to the U.S.]. 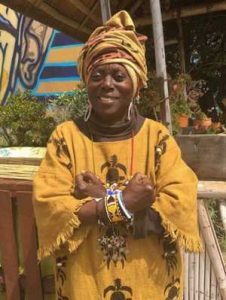 Just 3 days ago a provocative article ran in the San Diego City Beat titled “Modern reggae has a cultural appropriation problem”; it’s subtitle was: “A genre rooted in rebellion and activism is now more about chill vibes and fashion.” And in the piece, Makeda “Dread” Cheatom, executive director of the World Beat Center and founder of the Bob Marley Day Festival in San Diego, wrote that because of cultural appropriation, reggae has become too detached from its activist roots. Cheatom asserted “that reggae’s similar to other forms of Black music, in that eventually white people will want to take a piece of it.” From your perspective, do you agree or disagree with any of these opinions and assertions, and why? Makeda is outspoken when it comes to that. That’s her opinion. I don’t necessarily agree. Unfortunately, and fortunately, I think there’s a little more professionalism that goes along with reggae, and it’s just a slippery slope. I don’t really want to go into that. You respect her opinion; you just don’t agree? In the 2015 interview with Mike Patti from Pier.org, you said that as a talent-buyer/festival producer that you like to book Jamaican artists that are represented by a big agency and you explained the reason is quote “accountability,” and “if someone doesn’t make a flight or they don’t get a VISA” and you have made a deposit,” it’s just easier and more certain that you’ll get your money back. Do you continue to feel the same way about this, and also, because of how hard the new presidential administration has clamped down on immigration— have you had greater difficulties trying to book artists as a result of immigration issues? You hear about [immigration obstacles]; it’s definitely happening. And yes, I still feel the same way about [booking talent from Jamaica]. I’ve just been burned way too many times. Maybe not burned intentionally, but I learned a long time ago that if I’m dealing with a [big agency] and something goes South, and someone doesn’t show up, I get my deposit back. [But] [i]f I’m dealing with someone’s friend who is booking them out of Jamaica, if I send them $5,000, the chances of me getting that money back is slim. I’ve asked specifically about obstacles facing Jamaican reggae music artists as a group, but I want to take a moment and also inquire about the particular obstacles facing female reggae artists — female artists from Jamaica, America, or any nation. I noticed even in this 9th year of Cali Roots that of all the many acts that will be performing, only three are led by female singers: Hirie, Anuhea, and Tash Sultana. Can you discuss for a moment any obstacles you’ve observed in the reggae music business, or music business period, that you think might prevent more female acts from being included in festival lineups? Yeah. Exactly. But that has changed over time. And I think it’s continuing to change. We’re seeing more female artists coming on to the scene just in general. [And] [i]f you look at Beyonce headlining Coachella, for example. I don’t think you could have given a better example of a female artist who just commanded a music festival in recent history. Yeah, they’re calling it one of the most iconic performances ever. She’s the queen bee. A whole new level of badass. When will [Beyonce] be performing at Cali Roots? (Laughing) To be part of anything she did would be something special. 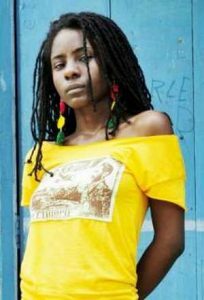 And you know, in the reggae world, you’re [seeing more women artists emerging too], like last year, we had Jah9 perform. And we’re huge fans of Nattali Rize. We’re huge fans of [Rize’s band] Blue King Brown. Nattali is special. Last 2-3 questions Dan, and again, I want to thank you so much for the time. I want to end by giving you and Cali Roots a much-deserved shout-out, not only for the fantastic musical and artistic experience you provide so many people — and for the exposure you bring to reggae music — but also because it’s clear from perusing your festival website that Cali Roots (1) has made environmentally conscious green-initiatives and reducing the festival’s carbon footprint a priority, and (2), that the festival gives back to the Monterey community by supporting several very worthy non-profits. Can a non-profit that wants to be involved or get support from Cali Roots in years to come apply in some way? We have a selection process but [nonprofit organizations and] people can email us at any time through our website. 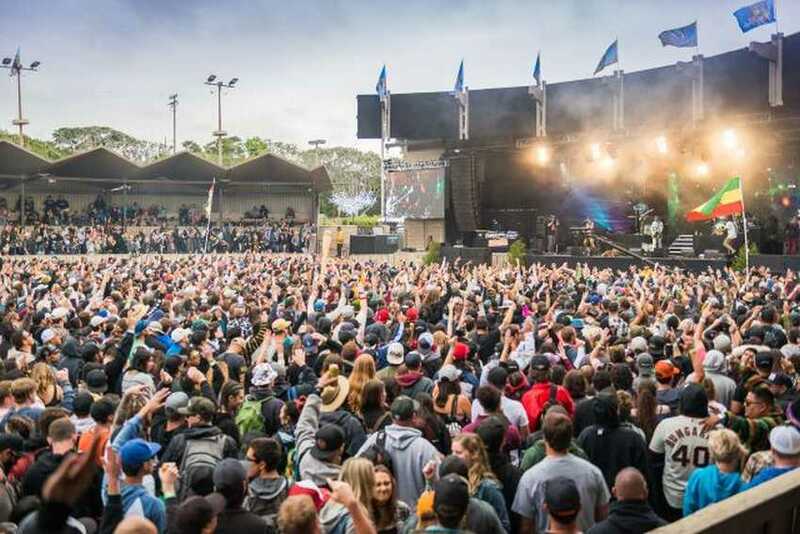 Finally, are tickets sold out for Cali Roots yet, and, do you have any advice or further announcements about the festival you want festival-goers to know? It’s not sold out yet, but folks should get their tickets now because it’s highly likely we’ll sell out before we open our gates. Also, people should check our website. We have a ton of information about the festival on there. Good advice. Thanks again, Dan. See you there! California Roots 2017 Official "After Movie"